Where can you find the best paver patio contractor in Philadelphia? Look no further. 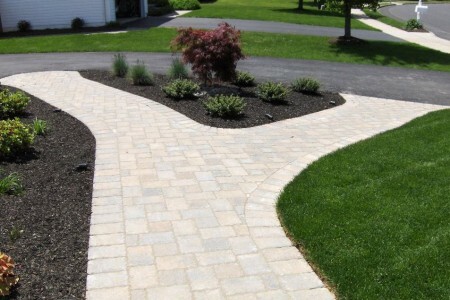 Mr Pavement walkway design has been recognized as a leader in Philadelphia patio design and installation. Walkways are a wonderful way to greet your friends, family, clients, or other pedestrians. 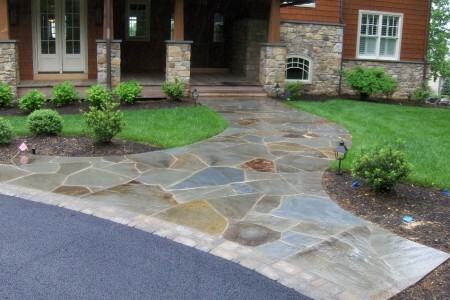 With a well-paved walkway from Mr. Pavement, you can invite people into your home or business with charm and give them a sense of comfort. Walkways are also a wonderful accent to architecture of any size and can be lit at night for an extra design impact on passers-by. Whether you’re looking for an asphalt walkway, a concrete walkway, or a paver walkway installation, our experts can help. We’ll help you create the perfect design for any structure, whether it’s a small home or an industrial corporation. Your visitors will appreciate the easy access an entrance walkway or service walkway gives them to your building – especially in inclement weather. A walkway allows your visitors to stay safely off the road during rain and snow storms and gives them a clear-cut path to your front door, so they won’t have to trudge through your yard or up your driveway. Additionally, you could install a walkway simply for an aesthetic benefit or to give your visitors a path of exploration. No matter what purpose your walkway serves, we’d be happy to help build it.